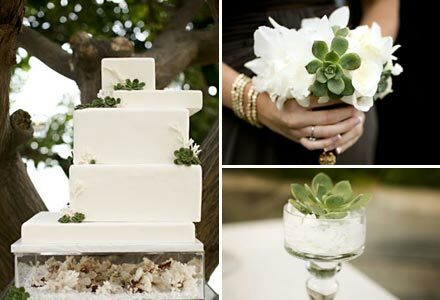 I think wedding cakes inspired by succulents is a relatively new idea. 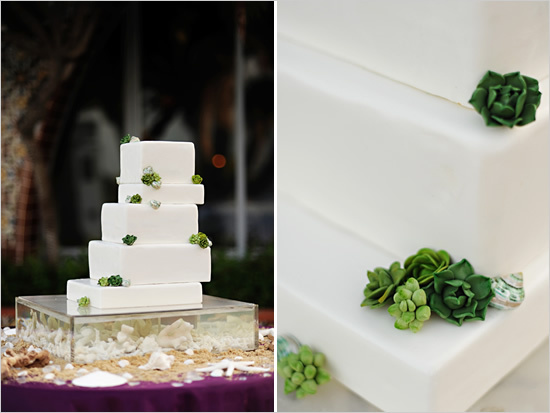 I love these first two cakes by Erica O'Brien! She is so talented! This next cake was for the wedding of Carissa, owner of JL Designs. 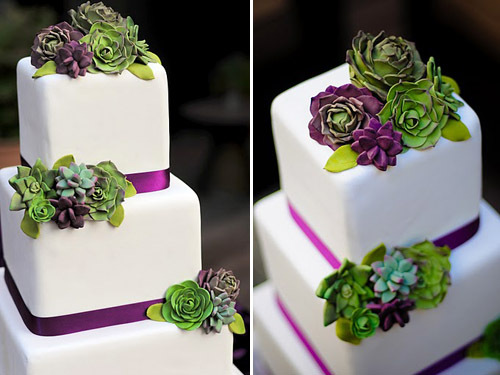 This final photo is actually not of cake, but when I first saw the photo, I thought that it was cupcakes with succulents on top. How cool would that idea be if you opted for cupcakes instead of a full cake?